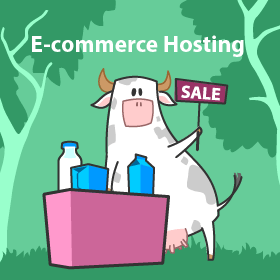 This short guide will help you find the best eco-friendly hosting for your website. If you’re an environmentalist, choosing green hosting probably sounds like the perfect option for you. You can find a host for your websites and minimize your impact on the environment at the same time. However, what green web hosting options are actually available? And how do you know which one to choose? By the end of this guide, you’ll be able to answer all your green hosting questions and find the best option for your website. First thing’s first, what is green web hosting? Well, all web hosting companies use data centers. These centers usually house dozens of computer servers. It’s on these servers where websites like this one you’re accessing now are hosted. To be able to run smoothly for 24 hours a day, 7 days a week, they need a lot of energy. 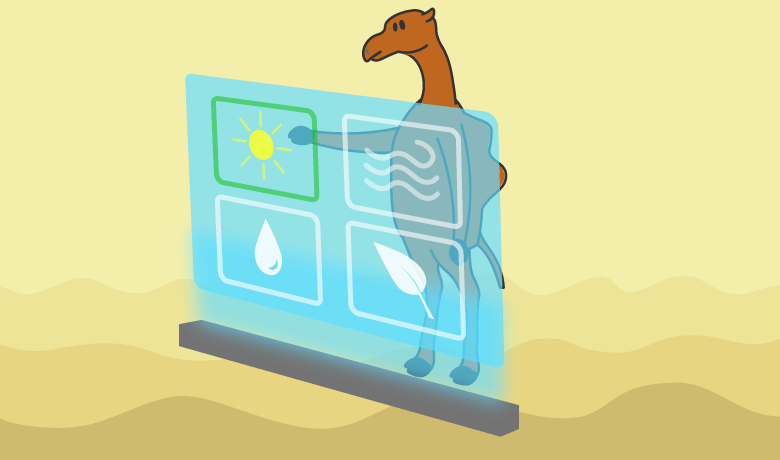 And since they’re machines, they generate a lot of heat, which means they need cooling. That’ll require even more energy. Green web hosting companies, however, aim to use eco-friendly power sources such as solar and wind as well as renewable energy sources. Thanks to this, they have the potential to avoid negatively impacting our planet and the environment. Some green hosting companies even put more energy back into the grid than they consume. And considering that the web hosting industry is on pace to surpass the airline industry in environmental pollution, this should be a key factor when choosing a web host. Who Is Green Hosting For? If you believe in playing your part in helping to keep the planet’s environment clean, this might be the best type of web hosting out there for you. 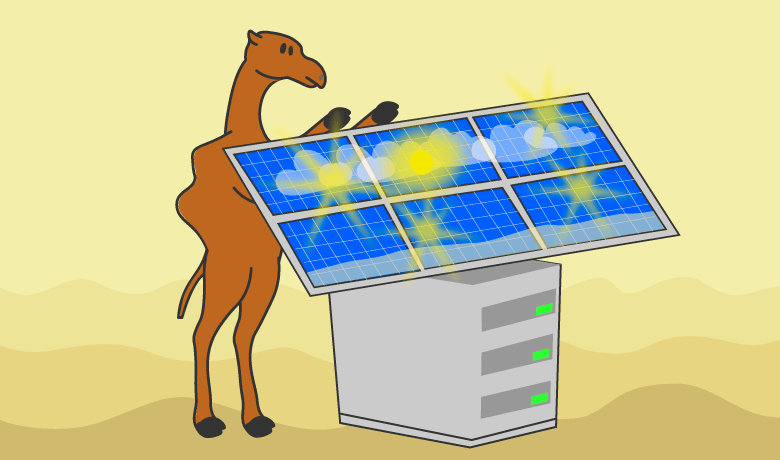 Web hosting providers that use wind energy, for example, sometimes put more energy into the grid than they consume. They are essentially not only eliminating their own carbon footprint but helping to minimize the impact of others. 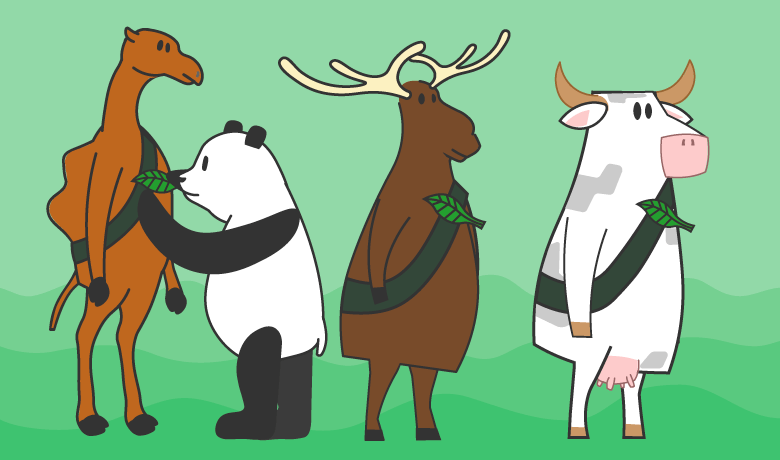 When you choose eco-friendly hosting, you help support that. And when you know that you’re not just preserving the environment, but also giving power back to the people, it’s a good feeling. Many green web hosts will offer tools to help you spread the word, like a “green hosting badge” on your site’s sidebar or footer. 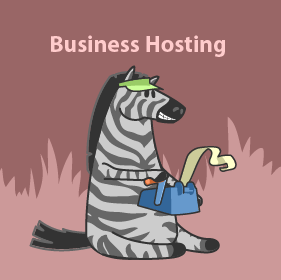 If you’re considering green hosting, here are some of the upsides of this type of web hosting. Obviously, this is the number reason why most people consider green hosting. With all the talk about global warming lately, and not to mention the dramatic weather of 2017, doing something to have a positive effect on the environment just feels right to many people. Also, if a large enough portion of website owners choose eco-friendly providers, that might encourage other hosting companies to consider going green. Since it’s possible for existing green hosting companies to actually give more energy back to the grid than they take, more web hosts switching to green energy could have a significant positive impact on the planet. As well as helping the environment, going green could also help your business. As the environment becomes a bigger issue, the number of consumers looking for green companies to do business with is sure to grow. By displaying a green hosting badge on your website, you’ll be able to appeal to this growing demographic. Whether you’re trying to sell more products or simply grow your audience, choosing green hosting could give you the edge over the competition. Although not guaranteed, choosing a web host that generates their own power or at least uses a renewable source, could mean you’ll be protected from energy-related price increases. As we’ve already covered, powering the data centers that house the servers which host websites is energy intensive. If this energy is coming from sources with volatile prices, then there’s a chance the cost of your web hosting could increase unpredictably. Hopefully, with green hosting, you won’t be as susceptible to these issues, resulting in a more static pricing or gentle increases. If you think that choosing green hosting means making sacrifices in other areas, then think again. 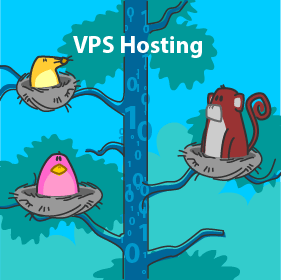 The best green hosting providers can compete with the best deals and packages from traditionally powered web hosts. 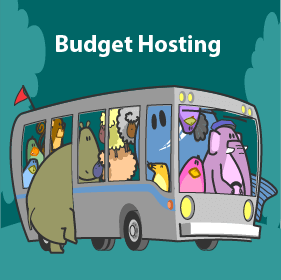 If you shop around, you’ll still be able to find green hosts offering generous storage and bandwidth allowances, support for multiple domains, email services, free SSL certificates, cPanel access, and much more. However, green hosting isn’t perfect and might not be right for everyone. So let’s explore some of the downsides of choosing a green web host to ensure you have the full picture. There is not much to dislike about green hosting. But here, you’ll find some of its downsides. Unlike like regular web hosting, there aren’t hundreds of green hosting companies to choose from. Due to this, it’s no wonder why the web hosting industry is on pace to become one of the biggest polluters of the planet. 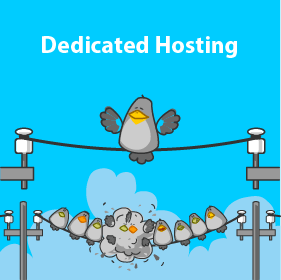 As well as having fewer hosting companies to choose from, you’ll also find there are fewer hosting packages and plans on offer. If you have standard needs, such as hosting for a WordPress website or an ecommerce store, then you should be able to find a suitable green host without any problems. However, if your requirements are more unique then you could struggle. Regardless of which type of web hosting you choose, you’ll probably run into problems at some point. 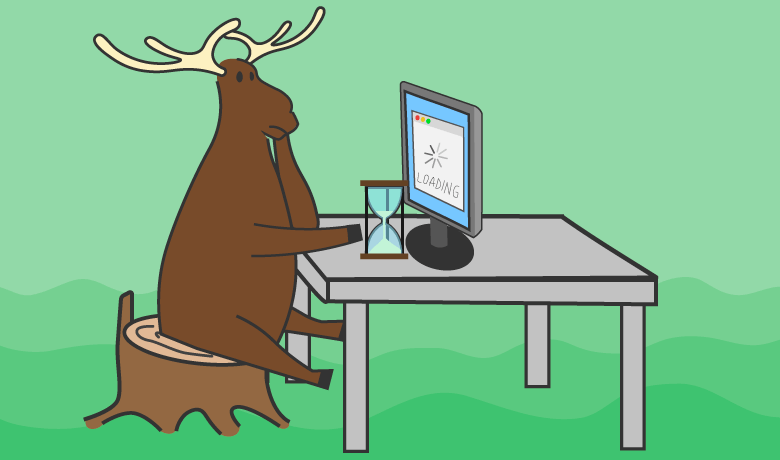 Perhaps you’ll experience a few minutes of downtime one month and a couple of hours of slow loading times the next. While green hosting is no more prone to downtime and performance issues than traditional hosting, it’s worth pointing out that you’re likely to face issues at some point. A service guarantee is great. But there is a difference between 99.99 and 100% uptime. Are they actually green? Ask them. Find reviews from real customers and hosting experts. Do they provide great support? There’s nothing worse than receiving poor support when your site is facing difficulties. So before you buy, test them. Send in a ticket. Use their live chat. Ask some tough questions. Is cPanel or another graphical user interface provided? Some don’t, most do. If they don’t give you easy access to a control panel, you should probably go elsewhere. 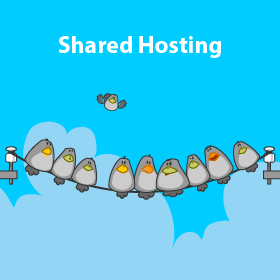 Can you host more than one site? If you’re going to (or at least plan to) create more than one site, you’ll need a hosting plan that will allow this. Can you upgrade at any time? You’ll probably start out with a basic plan that’ll support a few thousand monthly visitors. But when it’s time for something bigger, you’ll need to be able to upgrade your plan with ease and without downtime. 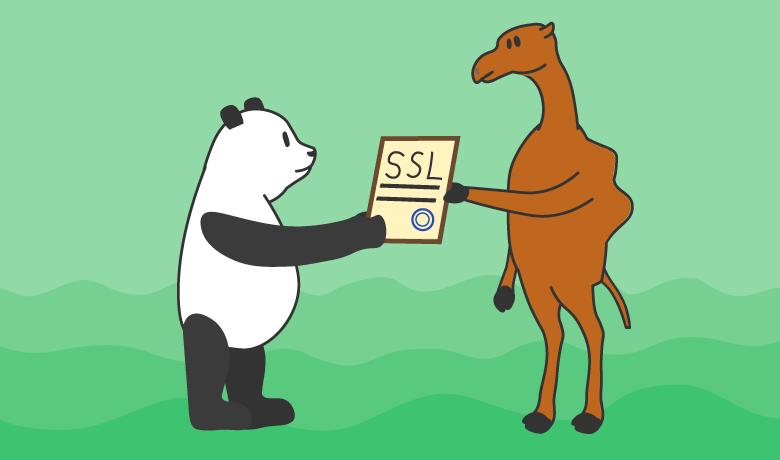 Do they offer SSL Certificates? These make your site more secure. They’re almost mandatory these days. A lot of hosting companies offer them for free. Sometimes at a discount. But you’ll need them for your site. So look out for this. There are other things you could look out for. They’re important. But not as important as the ones above. For example, advertising credits. Some hosts will give you credits you could use to promote your site with Google AdWords or social networks like Facebook and LinkedIn. Obviously, when you’re looking for eco-friendly hosting, the most important thing to pay attention to is your host’s actual source of power and energy. The very reason you want green hosting is to support the environment. If the company you choose says they are, but turns out they have dozens of energy-consuming data centers that aren’t powered by green energy, you would feel bad for not paying enough attention to the signs. The fastest way to find information on a hosting company is by reading reviews from customers and hosting experts. You can find them with a simple Google search – [web host] + review. A couple of other important things to pay attention to are overage and renewal costs. Even if they claim they offer unlimited storage and bandwidth, in reality, most web hosts often don’t. Sometimes, they expect that you’ll never go over a certain amount because you’re just starting out. Especially when you choose one of the entry-level plans. 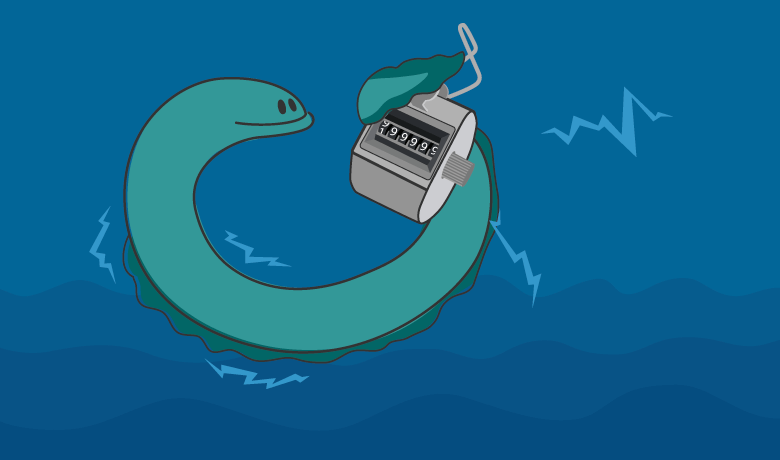 If you do exceed a certain threshold, you could experience unexpected costs or downtime. Be sure to ask how a prospective host handles this issue before signing up. 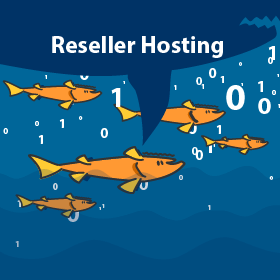 As for renewal costs, many hosting providers will offer low fees for new customers. However, after the introductory period is over, you could find yourself experiencing a price hike. To avoid being surprised by higher charges, research this before becoming a customer. Green web hosting is ideal for those who care about our environment. 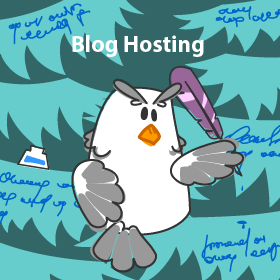 Unfortunately, compared to the other options out there, there just isn’t as much choice when it comes to finding the best eco-friendly hosting. But they’re out there. And unless your needs are unique you should still be able to find a number of good options to choose from. To increase your chances of finding a suitable green host, be sure to do some research. Some web hosts out there that claim to be green and eco-friendly are actually not. And if they are, you still need to make sure that they’ll provide you with great services, such as one-click installation, easy migration, and 24/7 support. Just because they’re helping to save the planet, it doesn’t mean you should cut them any slack when it comes to providing a professional service.